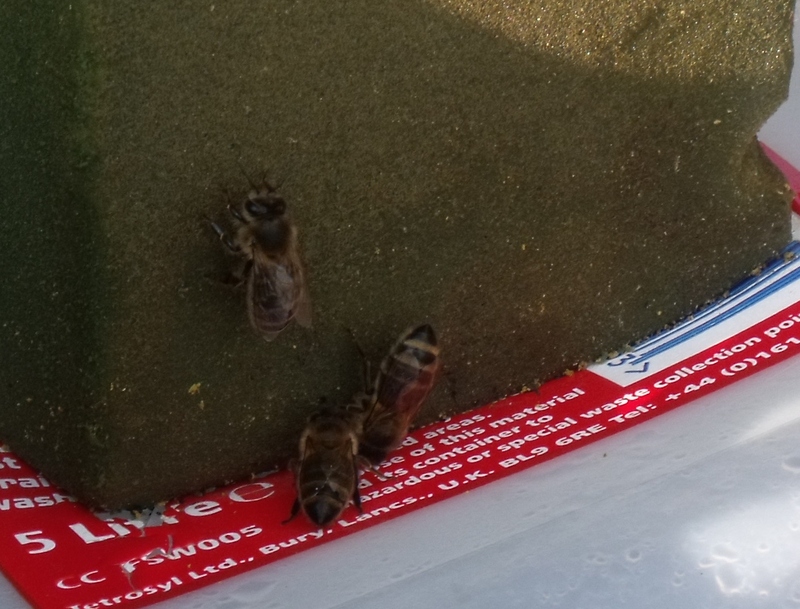 I’ve mentioned the beekeeping forum before. Not necessarily the place to go if you want one definitive answer to anything, but there is a wealth of ideas and her is one I have pinched. 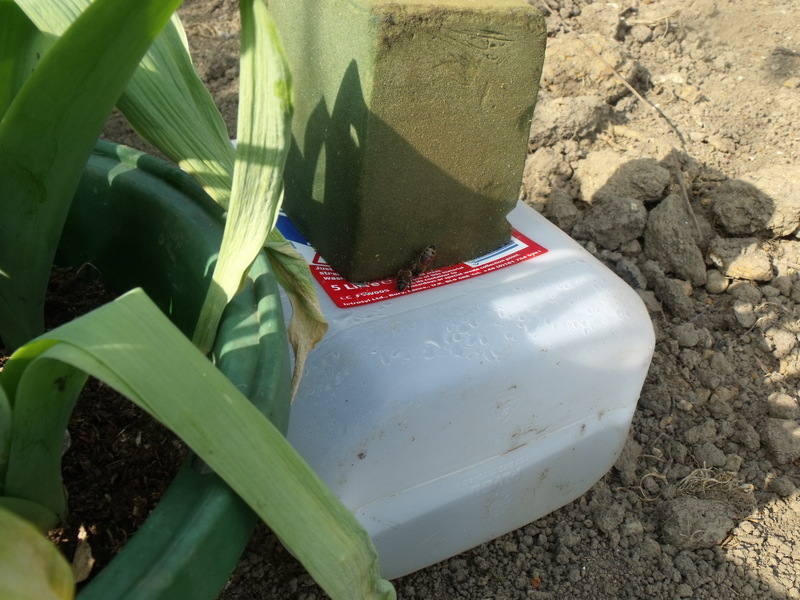 Having water for the bees is a perennial problem, especially as they seem to enjoy a rather devious mind game with their beekeepers – avoiding any of the intended sources and going for the dirtiest or the most worrying – the muddy puddle or the neighbour’s paddling pool. One of the beeks described using an old container filled with water – but the cunning part was the hole cut in one face so that a block of oasis could be inserted right down to the bottom. For those in ignorance, oasis is a block of firm foam beloved of flower arrangers because it holds lots of water and allows the flowers to take up water from the block. I’ll add a photo for a better illustration. On the first day after my grandaughter, Naomi, and I had created our version, there were no bees to be seen using their new facility. However, a few days later and a cluster of bees can be seen almost permanently on it. In fact I have to fill it quite frequently. They seem to stay in the shady area to the base of the block. I wonder if the first one to find it did some sort of waggle dance to let others know? Note to self – I need a longer hose to fill the water sources as well as keep the new bee friendly plants and seeds moist. Needless to say when I went to take the next photo of the reservoir in use, there were fewer bees so it was less spectacular a sight.